Apart from cricket and hockey, the participation of Indian in the arena of international sports is not satisfactory. Nevertheless Indian participants achieve recognition in Common Wealth Games and Asiads, they fail to make their mark in the international sports events like Olympics. Many guess that the main reason for this poor performance is absence of money that will allow budding stars to get required training. The central government is all set to change this situation and thus, it has developed the Khelo India Program. It will provide financial scholarship to talented and budding athletes who belong to rural and deprived areas. 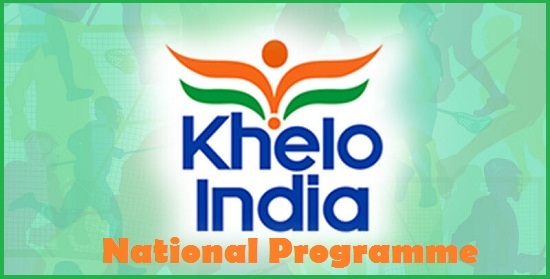 The Central Government has announced the launch of Khelo India scheme on 20th Sept 2017. All matters related to this program will be looked after by the Ministry of Youth Affairs and Sports. Narendra Modi is the Chairperson of the department and Rajyavardhan Singh; the central sports minister will oversee all aspects. To get the details of this sports welfare program, one can click on the link https://yas.nic.in/sports/khelo-india-national-programme-development-sports-0. Promoting sports in the country – As mentioned earlier, the overall condition of sports is not up to the mark. With the launch of this program, the central government will be able to assist poor athletes with financial grant so that the country is better represented in international events. Empowering sports personalities – With the launch of this scheme, the budding sports personalities, who have the potential to represent the country, will get money to groom themselves. It will empower not only the athletes but will also promote sports. Providing sports scholarship – According to the draft of this program, each beneficiary will be given a sum of 5 lakhs per year. The money will be utilized for meeting their nutritional and sports equipment related equipments. Year of implementation – The scheme has been launched. For the time being, the aim of the central government is to expend it from 2017-18 to 2019-20. It will empower the athletes and will also improve the sports infrastructure. Number of scholarship holders – The sports ministry has highlighted that for the time being, the scholarship program will give the grant to 1000 candidates who have potential of proving themselves and representing the country. Tenure of scholarship – Each selected candidate will receive the sports scholarship for eight years in a row. It will give them ample time to develop their skills and get the assistance that will take them ahead in life. Universities as sports hubs – The ministry will select 20 Indian universities and these will act as centers where the budding sports stars will get training in athletics and will also be able to get academic coaching. It will bring about two-pronged benefits in their lives. Bringing about gender equality – Sports will not only provide international representation to Indian athletes, it will create a level ground for both girls and boys to develop their talents. It will eradicate gender related biasness in the country. Preventing youth from choosing wrong paths – This scheme also strives to bring youth living in hostile areas under its umbrella. Young people living in militant infested areas are often backward and they have a tendency towards following the wrong path. With developed sporting facilities in these areas, it will be possible to channelize them in the right direction. Developing a competitive nature – Central authority has highlighted that colleges, universities and schools are cradle for nurturing upcoming sports stars. If number of sporting events is increased, the students will get encouragement and will be able to develop a competitive attitude. Using technology – The Sports Ministry wants to reach to young candidates who situated in remote areas. To send the messages easily to and associated promotion of sports, it will use technological advancements. Locating sport centers – With the assistance of GIS technology, it will be easy for the interested candidates in pinpointing the location of all sports academies in the nearby areas. As estimated by the central sports ministry, it will have to shell out around Rs.1,756 crore for achieving success in its endeavors. This amount will be required for implementing the various aspects of the scheme during the time span of 2017 to 2020. For the time being, 500 crores will be allocated for this program. Out of this, 230 crores will be spent on making arrangements for various sporting tournaments. 100 crores will be spent on the organization of Talent Searches. It will also meet the expense for conducting Grooming programs for athletes. Apart from these quotations, an amount of Rs. 136 crores will be billed towards construction of well-equipped stadiums and training centers. More such centers will come up in rural and semi-rural regions. Must be associated with sports – Only those candidates, who are associated with sports and have a keen interest in improving their skills, will be able to apply for getting the grants. Age related criteria – All applicants, who are interested in getting the sports scholarship must not be less than 8 years of age. The upper limit of the age related criteria is 18 years. Application per candidate – If any applicant is interested in acquiring the grant, then he or she will only be able to pick any one sport that will be mentioned in the notification from the central government. Residential criterion – Only candidates living in rural, deprived and backward areas will be given the grant to encourage and assist them towards acquiring excellence. Any candidate who is interested in applying for this sports scholarship will have to click on the link https://yas.nic.in/. It will take him or her to the official web page of Ministry of Youth and Sports. There applicants will get access to a link that is marked as “Apply for Khelo India.” Once the link is clicked, it will bring up the online registration form of this program. The applicants will have to fill in the digital application form with required details. After this, he/she will have to attach all important documents. These must be scanned for attachment with the digital form. Lastly, the applicants will have to click on the button that is marked as “Submit.” Once the form is saved and submitted, a message will be flashed accordingly. It is better that the applicants download the application form and take a printout for future reference. This effort of the central government will not only give encouragement to budding athletes in rural areas but with proper grooming, enhance the chances for them to win medals for the country and put the name of India on the international sporting arena.